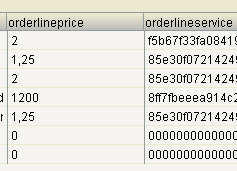 Sitecore Content Search stores Sitecore Number field values as integers by default, e.g. 12.50 will be indexed as 12. Luckily it’s very easy to reconfigure this behavior as the required indexing mechanisms are already present in the Sitecore Content Search API. The indexing behavior can be changed for the Sitecore Number field type as a whole, rather than having to be changed for each individual field in the solution. Examples are based on Sitecore CMS 7.1 Update-1 (rev. 140130). This entry was posted in Lucene.NET, Sitecore, Sitecore 7 Content Search, Sitecore 7.1. Bookmark the permalink.